In the last hearing, one of the judges in the apex court bench, Justice L Nageswar Rao, recused himself from hearing the case. 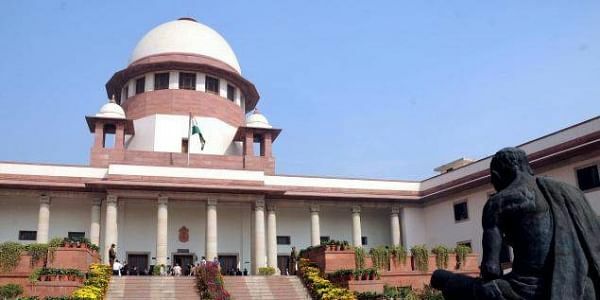 NEW DELHI: The Supreme Court will hear the 2G spectrum scam case on Wednesday. The top court had also asked not to take any action against the Enforcement Directorate (ED) Investigating Officer, Rajeshwar Singh, who is probing the 2G case. Special Judge OP Saini has been exclusively dealing with cases arising out of the 2G spectrum scam. Two cases have been filed by the Central Bureau of Investigation (CBI) and another one by the Enforcement Directorate (ED). In its chargesheet filed against former telecom minister A Raja, DMK Rajya Sabha member Kanimozhi and others in 2011, the CBI had alleged that there was a loss of Rs 30,984 crore in the allocation of 122 licences for 2G spectrum. In April 2014, the ED filed a chargesheet against 19 people, including Raja and Kanimozhi, in connection with a money laundering case relating to the scam.